Many Americans who are uninsured are interested in finding affordable health coverage, but do not have all the information about how to get covered. Enroll America is a non-profit, non-partisan organization whose goal is to maximize the number of Americans who have health insurance now available through the Affordable Care Act (ACA). Their focus is on reaching the community through education and empowerment of community members. 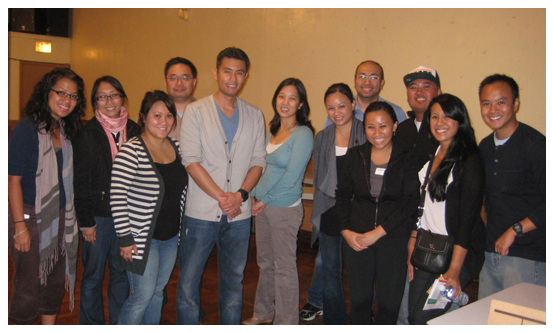 FACHIC in partnership with Enroll America wishes to help ensure the Filipino American community is aware of their health insurance choices. If you need health navigating the Health Insurance Marketplace, there is free help - online, by phone, or in person. Financial help is available for many. Go to www.getcoveredamerica.org to find out more information, or sign up to receive information here. Health insurance is an important way to take care of yourself, your family and the community. Get 2015 health coverage now! Layer ingredients in a pot (allow space for turning). Cover and boil a few minutes to wilt vegetables, then too vegetables. Reduce heat to lower and simmer partially covered. Toss occasionally top rotate vegetables or stir gently to retain individual identities of the vegetables. Cook to desired doneness.